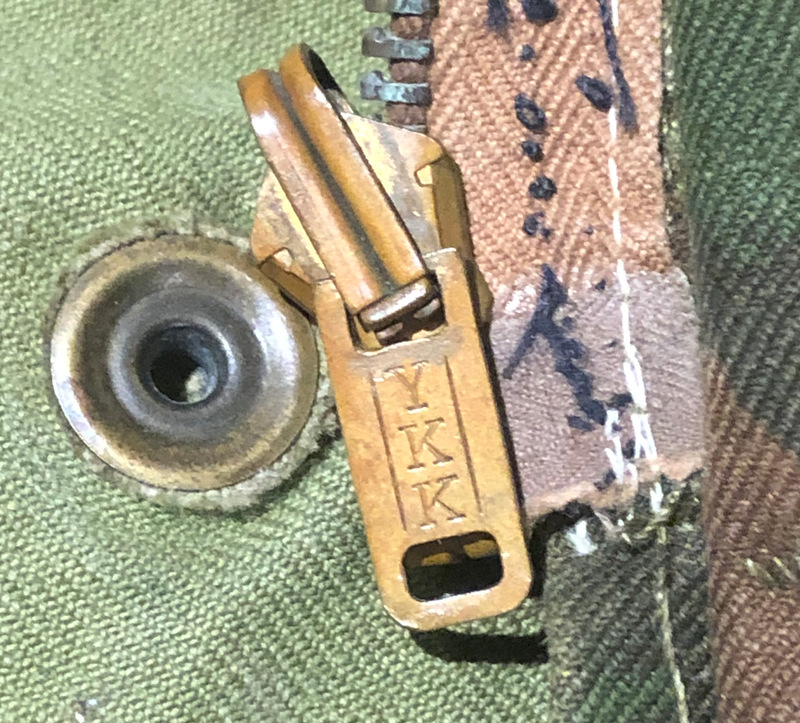 Manufactured in 1954. 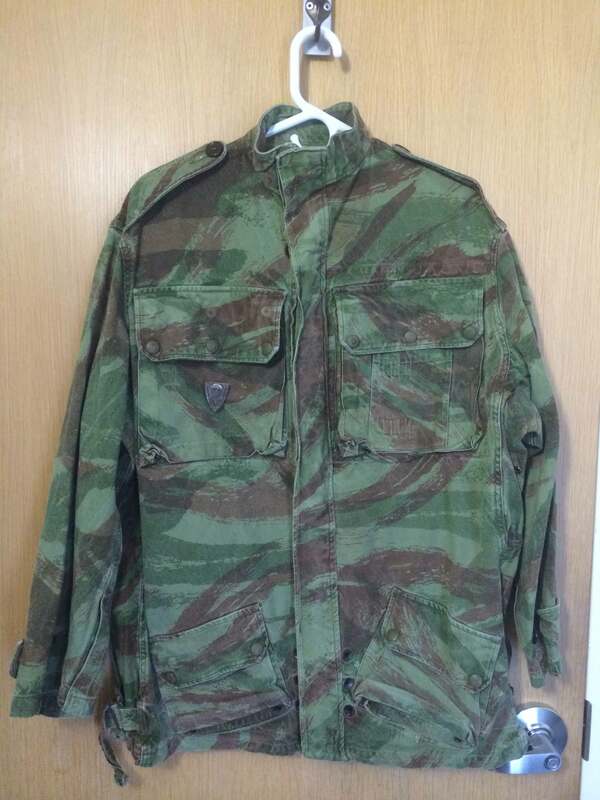 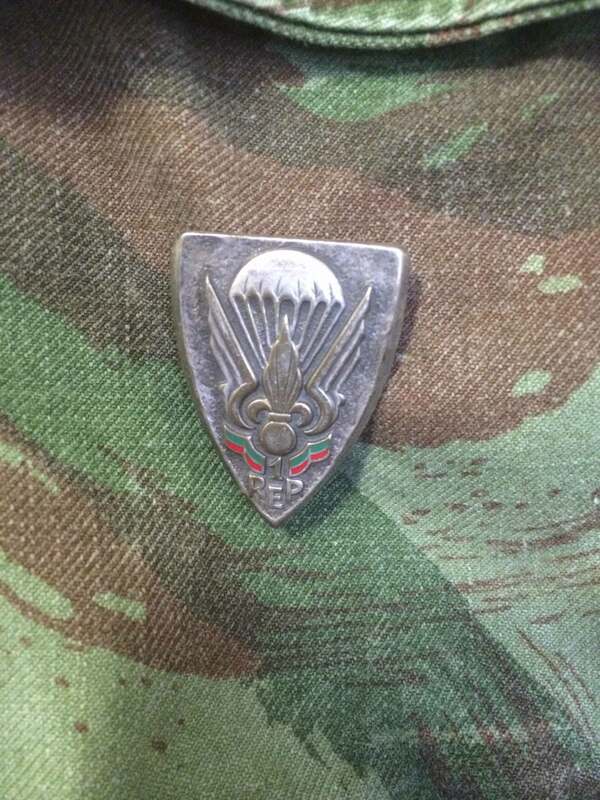 According to seller belonged to German-born veteran of 1er Regiment Etranger Parachutiste. 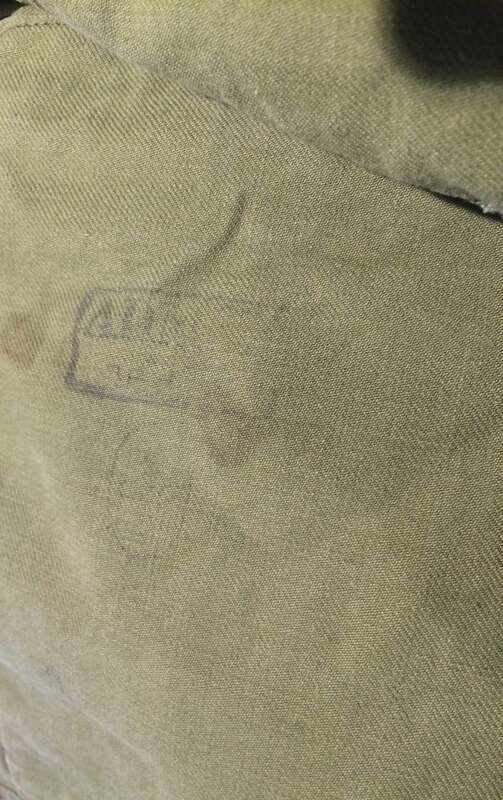 Badge on pocket is from Algerian War. 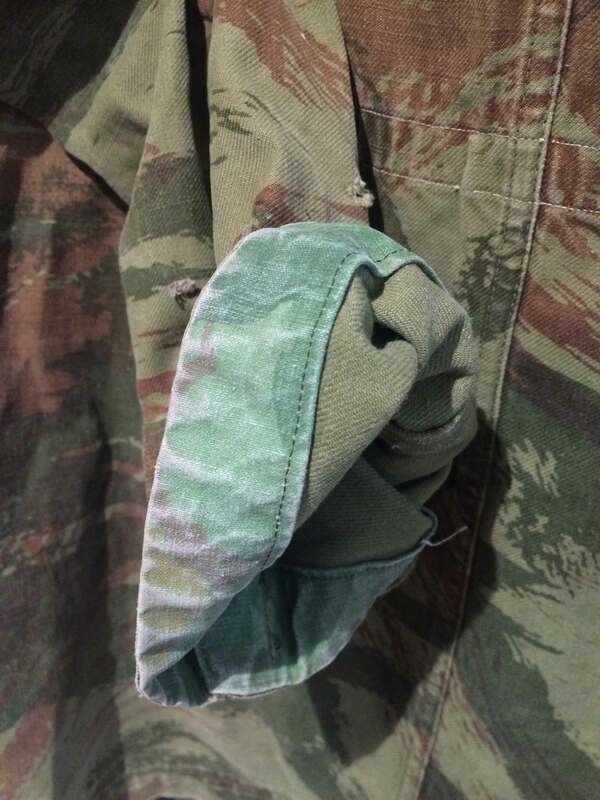 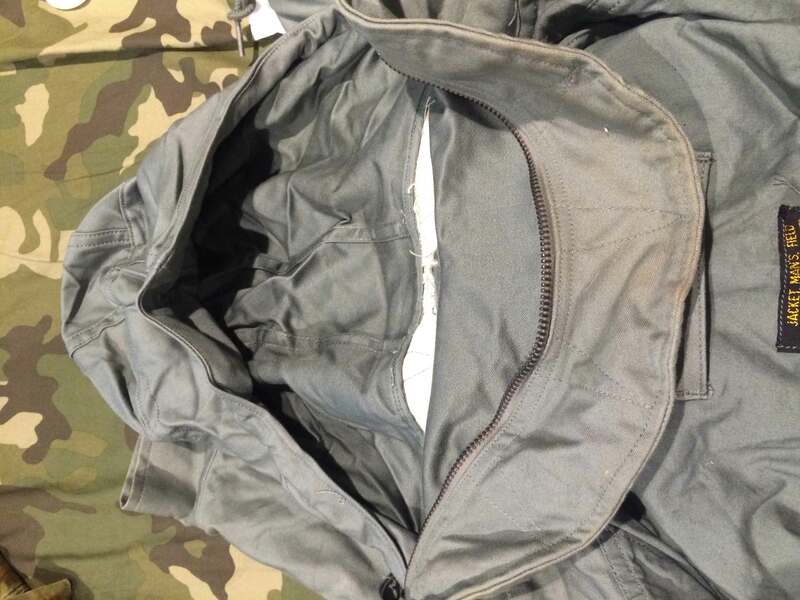 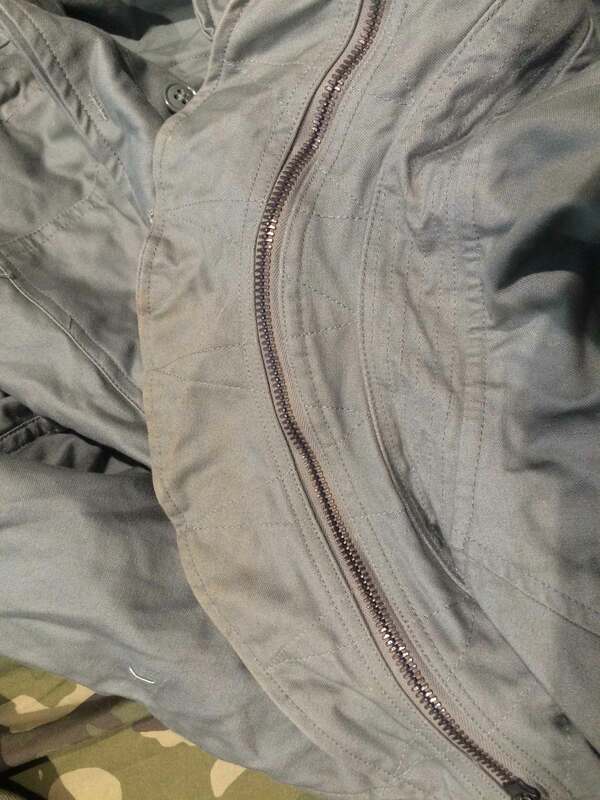 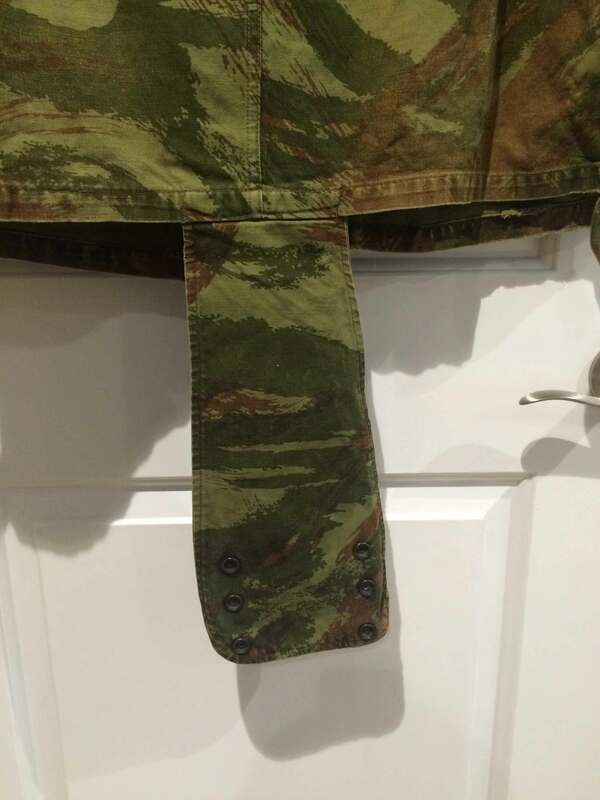 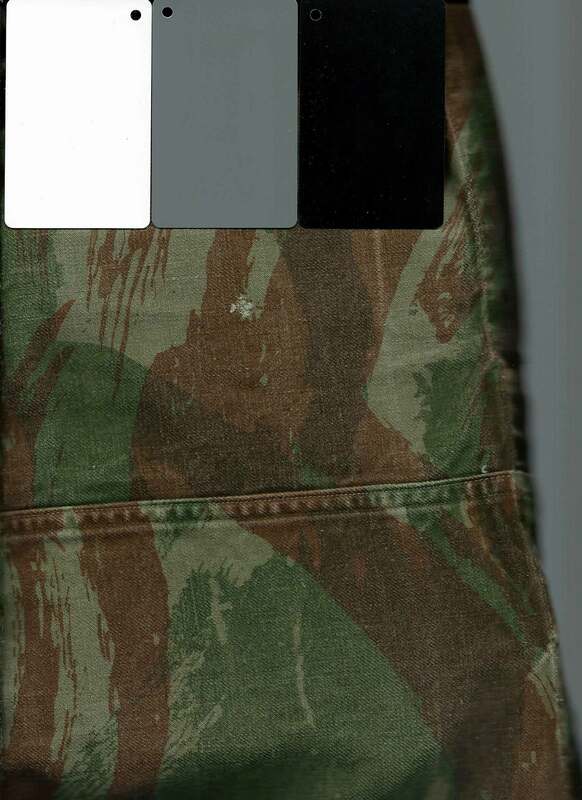 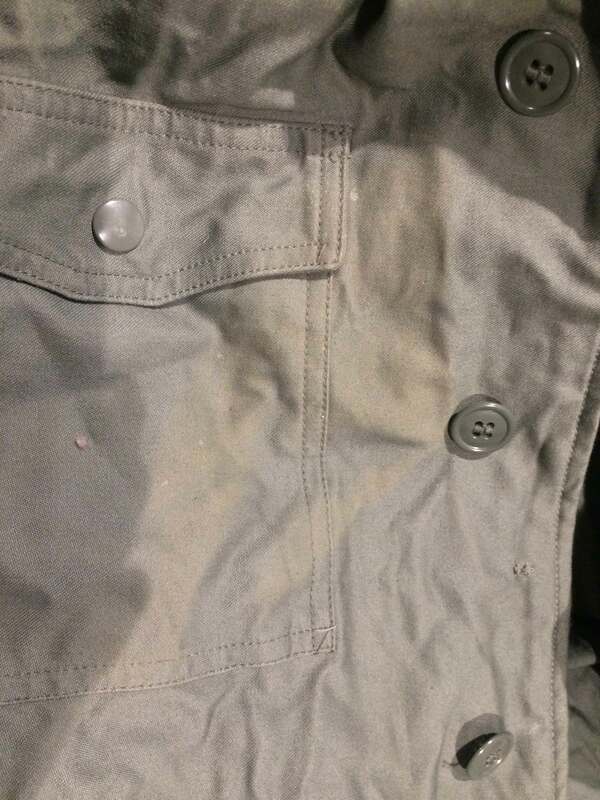 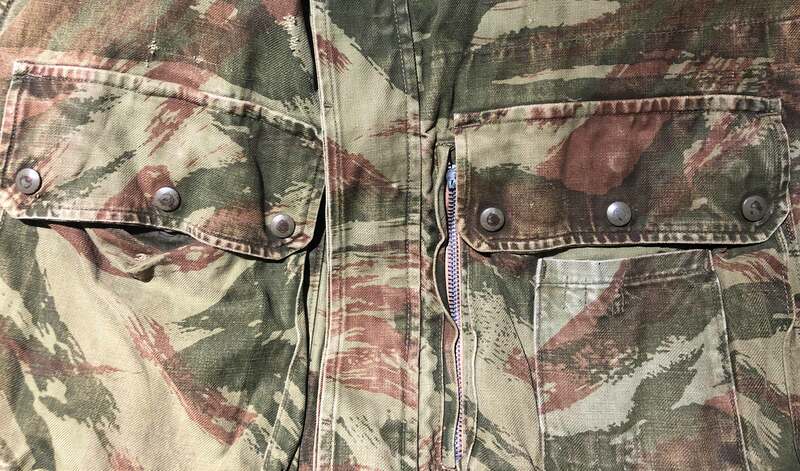 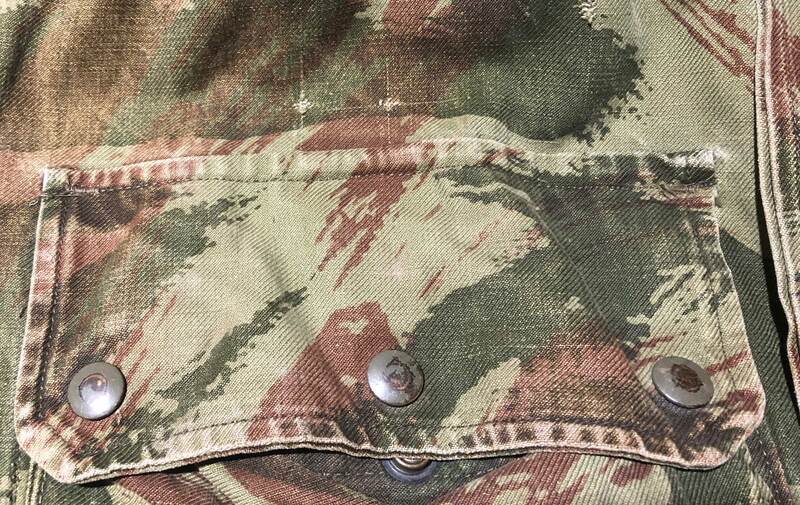 May have remnants of ARVN jump wing on right pocket (as worn). 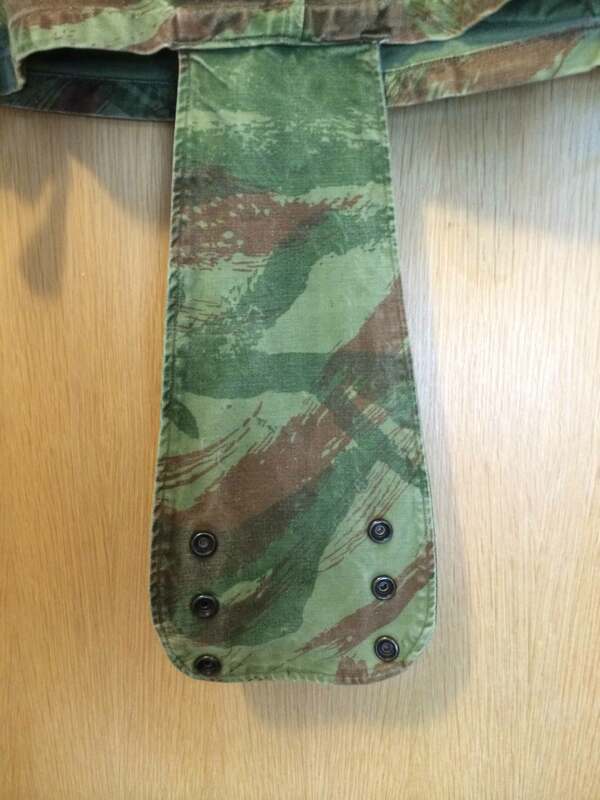 Cuffs lined with Mitchell pattern shelter half fabric for reinforcement. 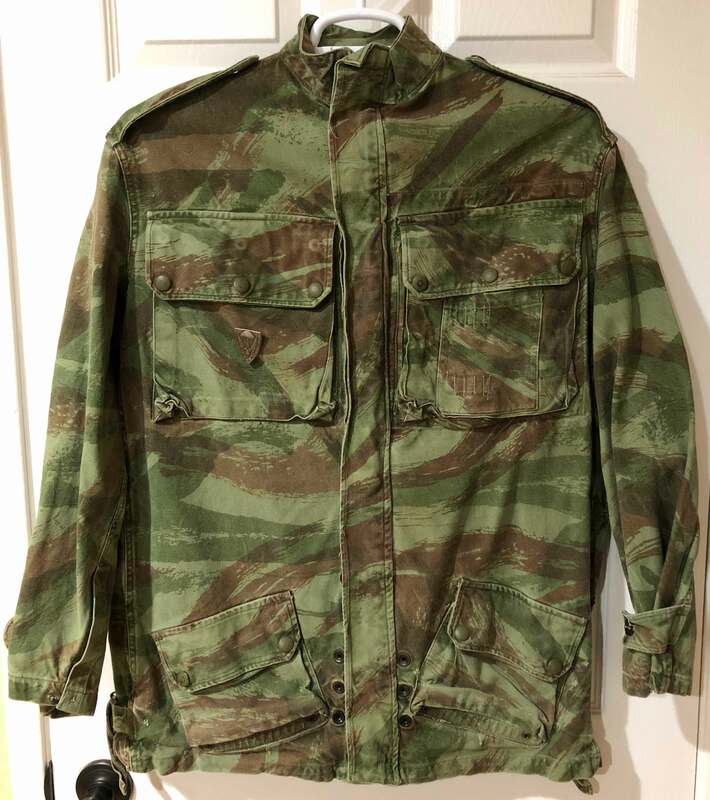 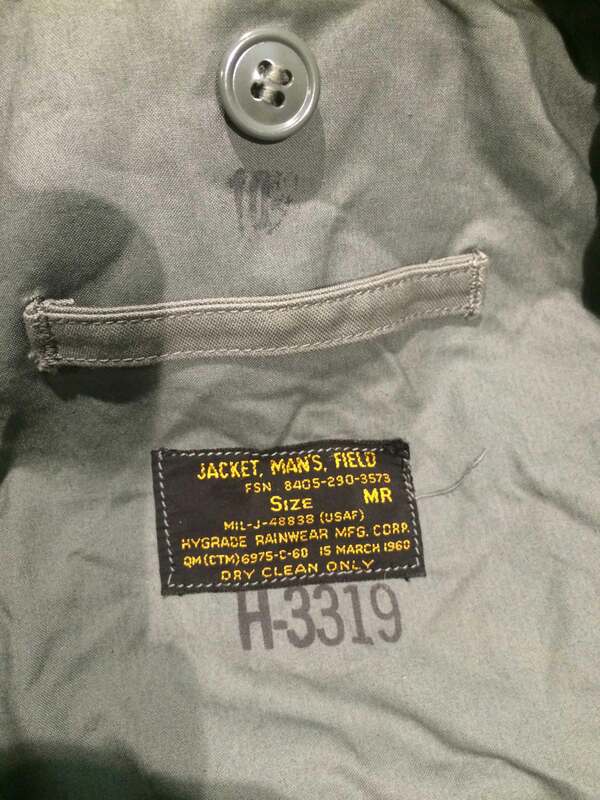 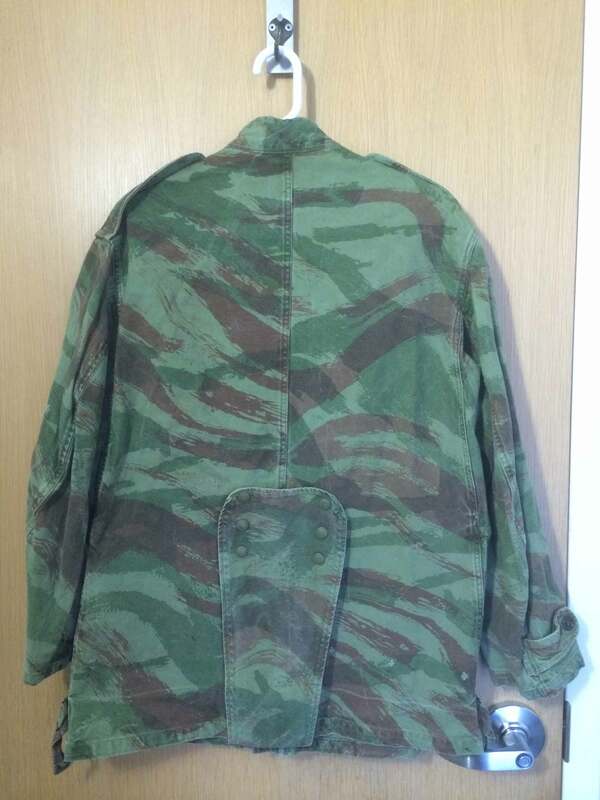 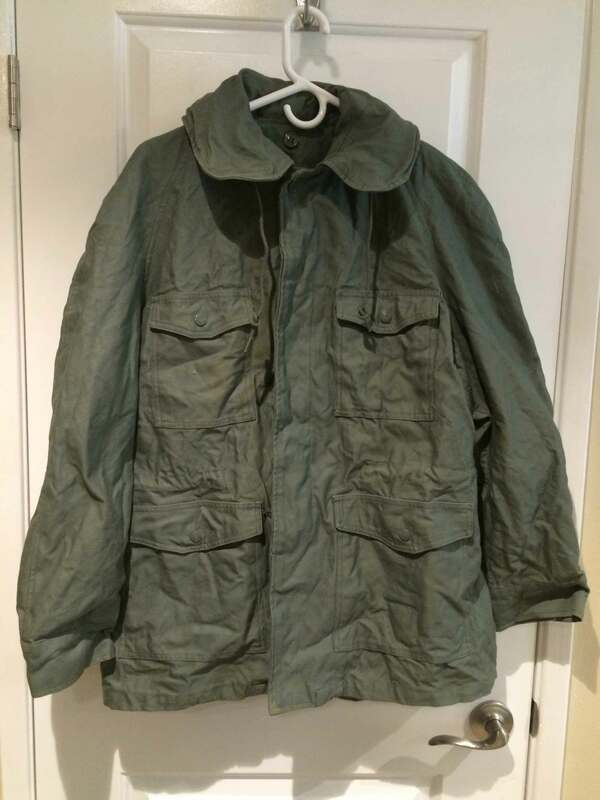 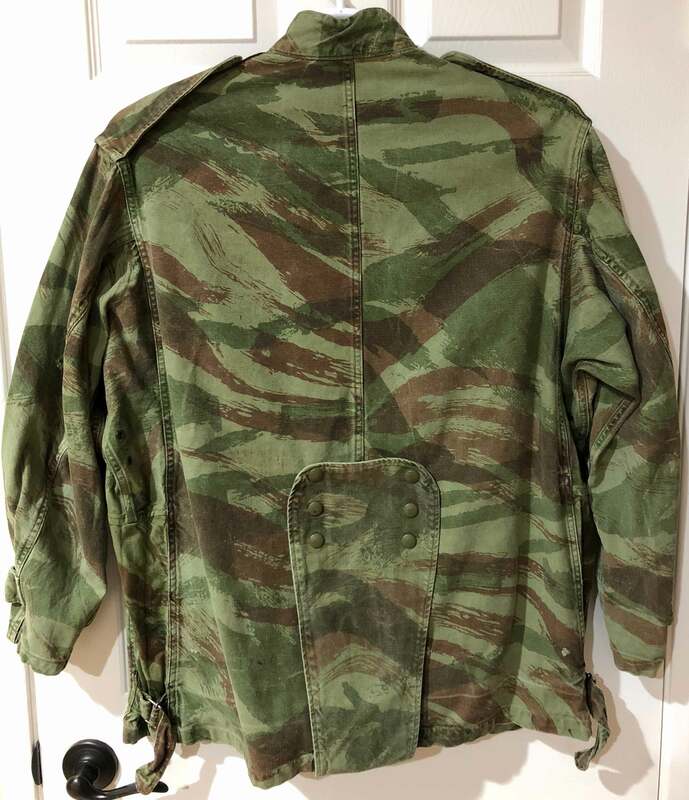 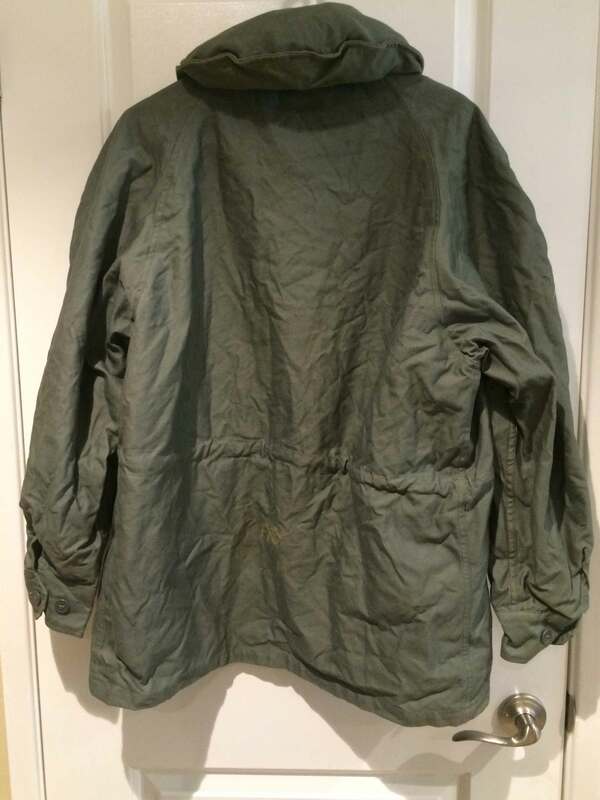 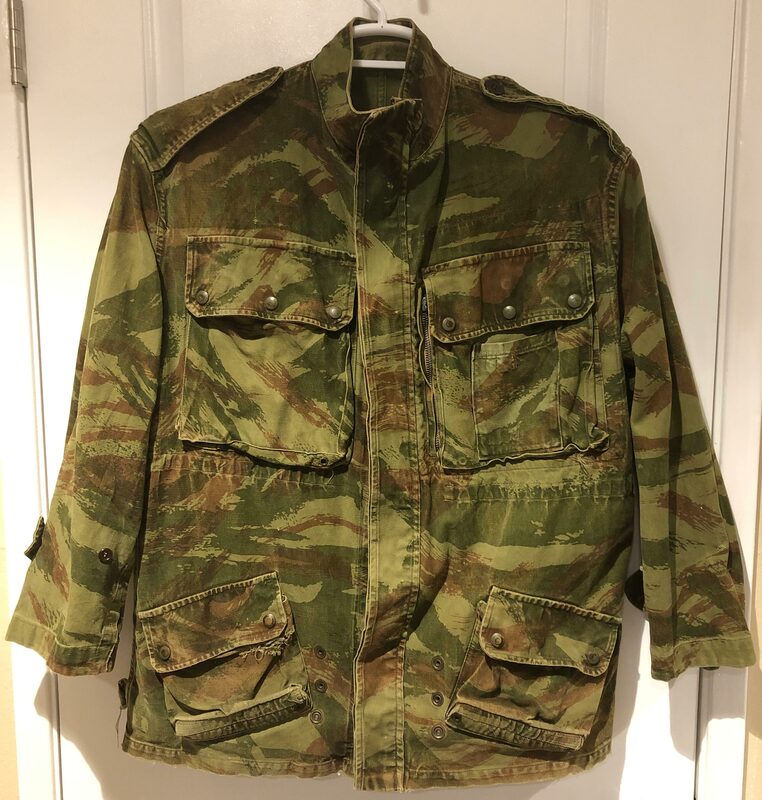 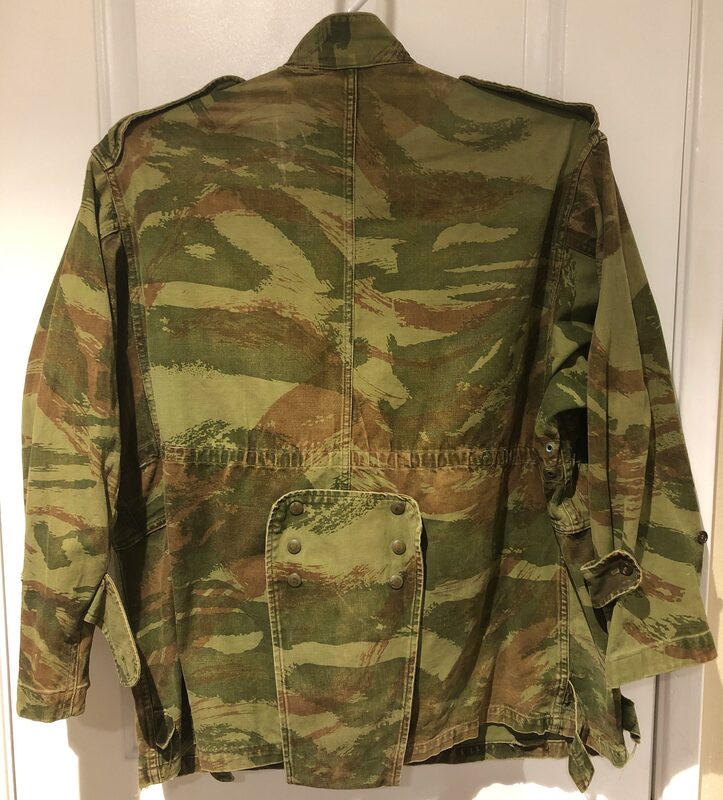 Found together with sage green USAF field jacket.